The mosquitos are swarming, the sun is shining, the birds are singing. It’s warm and breezy. The air is soft. The ocean is crisp and blue, dotted with boats traveling to and fro. Last night even a few stars popped out as the moon smoldered in and out of a luminous cloud bank. Magic Mountain Farm is as green as it can be. Fresh and sparkling. Weeds and giant grasses flush with new growth. 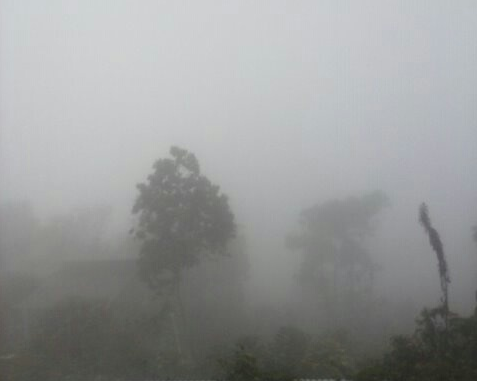 We just had a week of rain, mist, dense fog, and gray landscapes. The ocean was invisible, as if the sky were resting at our feet. 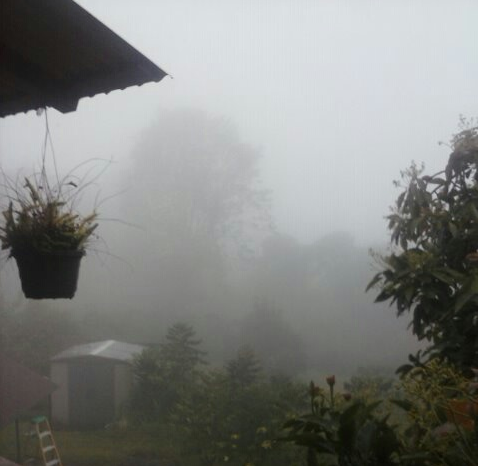 I called our guests to tell them to step out on the deck and watch as our farm became enveloped in a soft warm lavender gray blanket; that this was why I was saying we live in a cloud forest. The plants drink more from the atmosphere than they do from the ground. Our friends from Portland brought Portland with them and we are grateful. Our water tanks and earth have been replenished. It takes me back to the years I lived in California when winter meant bare trees, green, green grass, scrubbed sidewalks, and crisp moist nights. But when our friends were here, there was no ocean, no starry milky way. There was just the damp and the gray. And all we could do was swear that truly these things happen most days during our winters, and that if they kept using the mosquito repellant they would not get bit half to death before they left. The idea of Portland folks coming to see the crisp blue and green waving world and getting the arms of the foggy home blanket ,beautiful. We are imagining the weather of their lives being a special spirit collective that looks to see them. The following and the finding seems to be a moving dream time song. A possibility one way love affair. 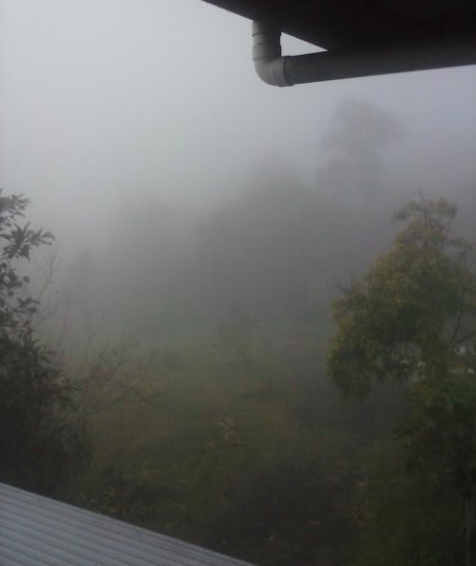 As redheads we consider fog to be our natural and most welcoming weather.